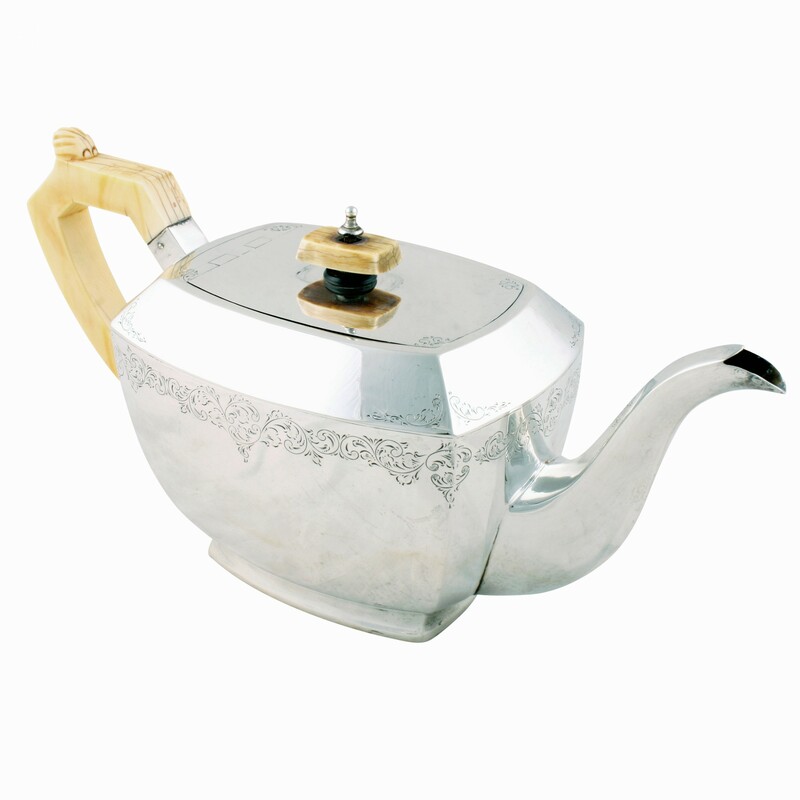 A 20th century George VI sterling silver teapot. 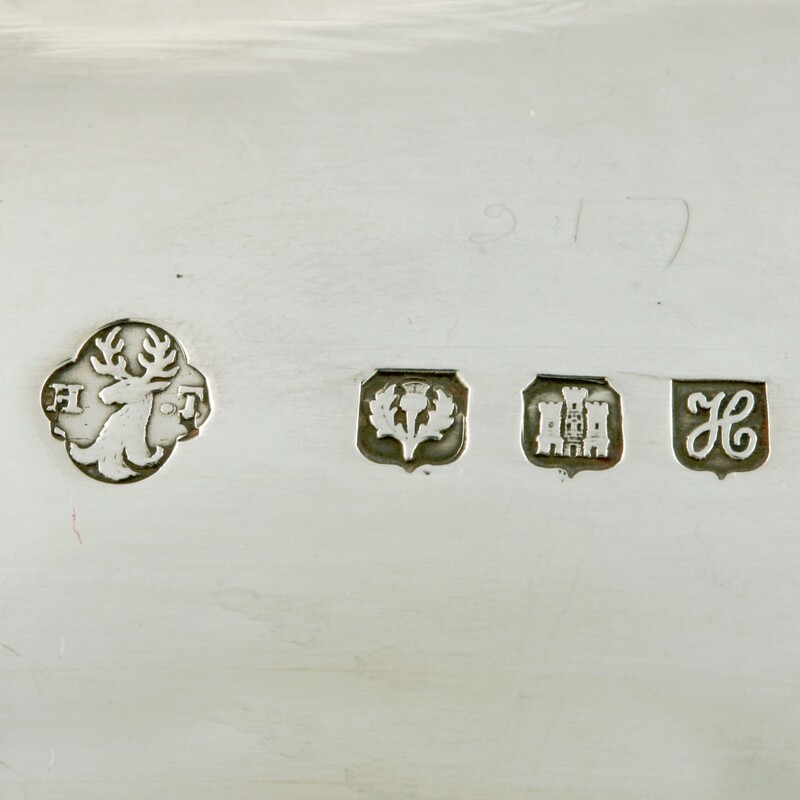 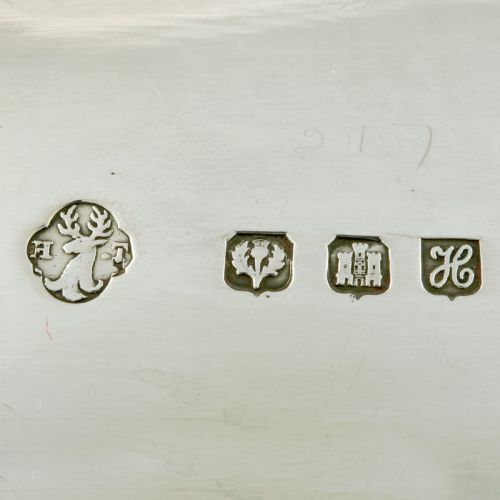 The teapot has sterling silver hall marks for Edinburgh, the year 1938 and a maker's mark for Henry Tatton & Son. 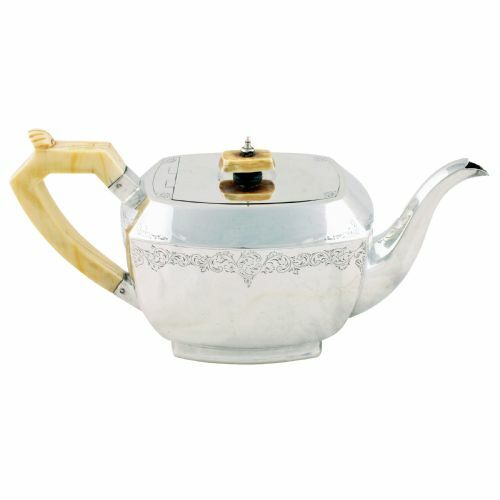 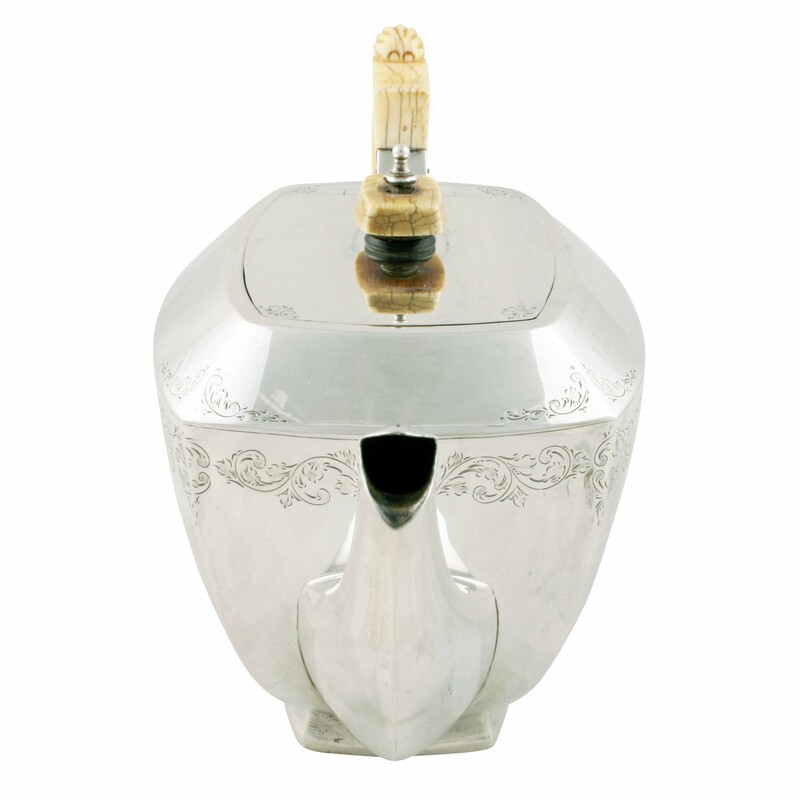 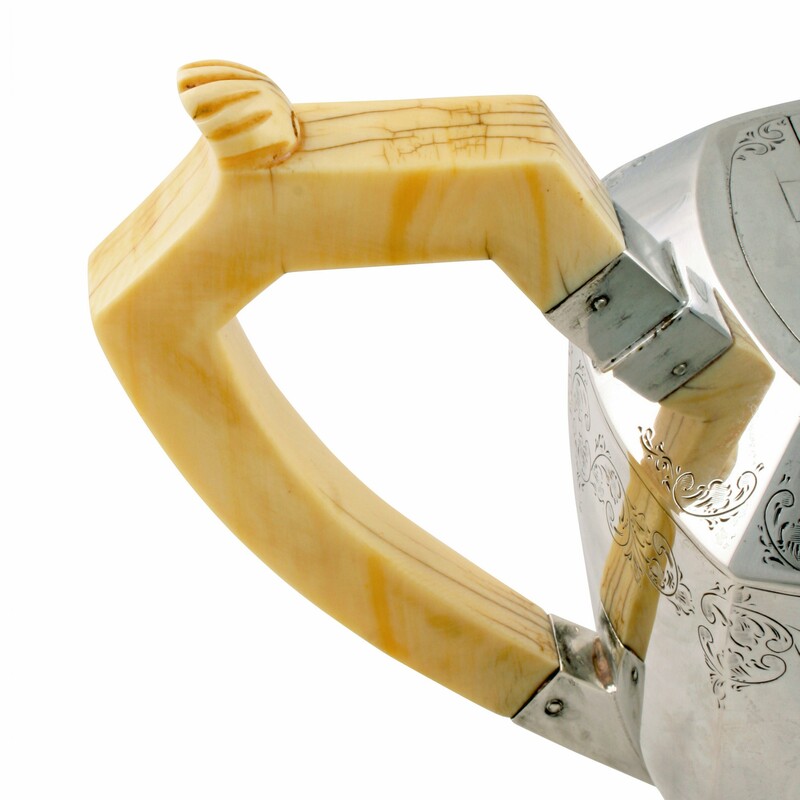 The teapot is in an Art Deco design with a carved ivory handle and a knob for the hinged lid. 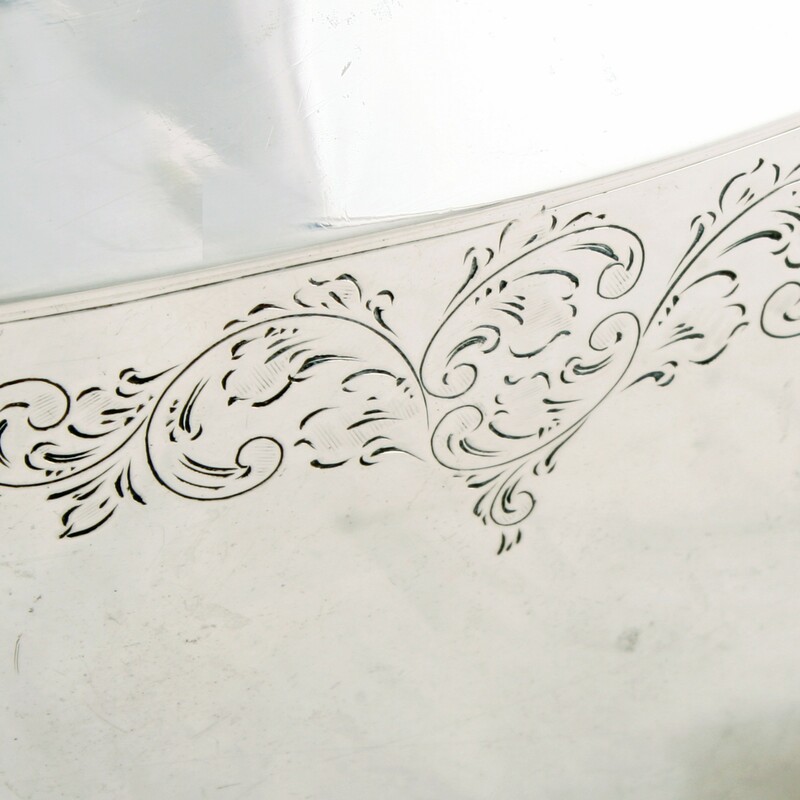 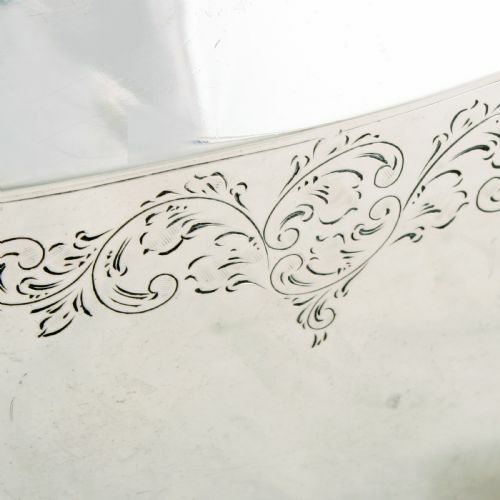 The teapot is angular in shape with a fine scrolling acanthus engraved decoration around the top edge and corners surrounding the lid. 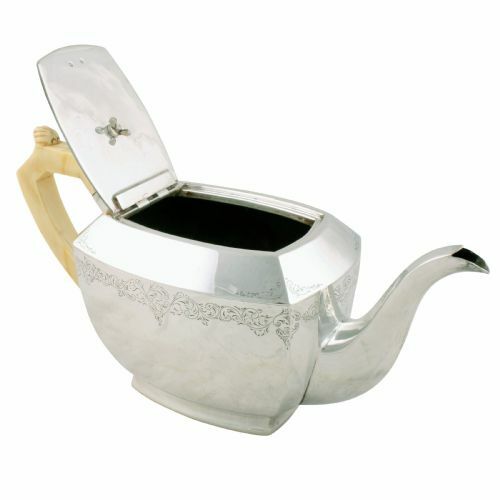 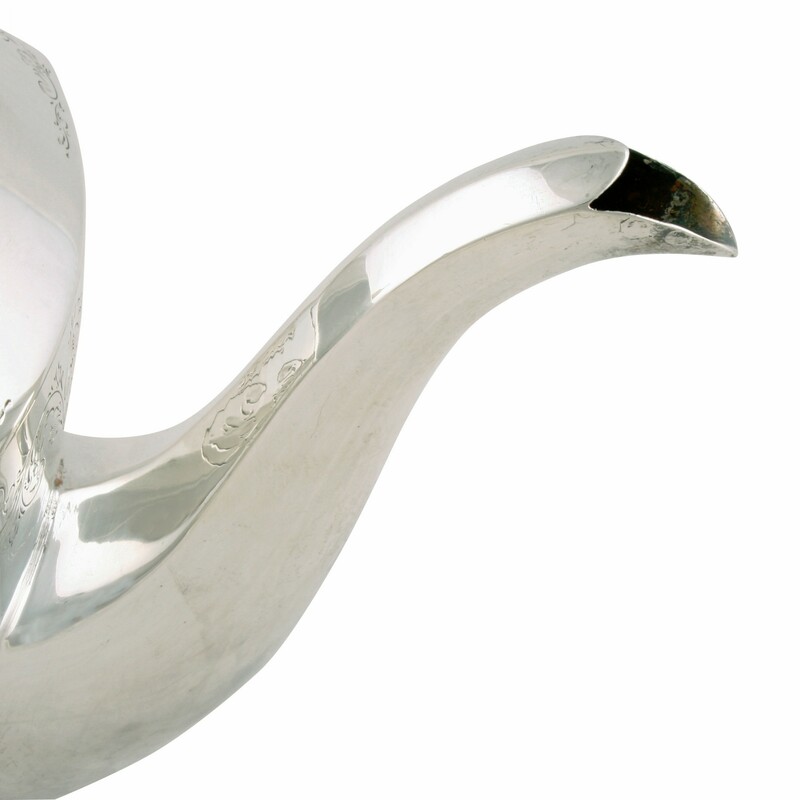 The teapot is in good condition and is made from a heavy gauge of silver. 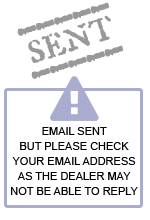 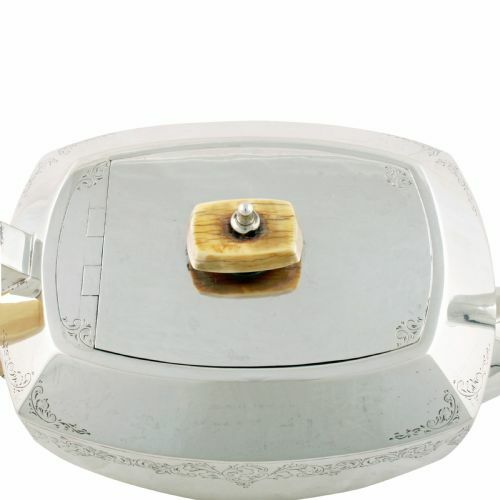 The George VI Art Deco Sterling Silver Teapot has been added to your saved items.